HURT hasn’t had course conditions like this since 2011, when rain poured on race weekend. Back then, the finish rate was only 29%. 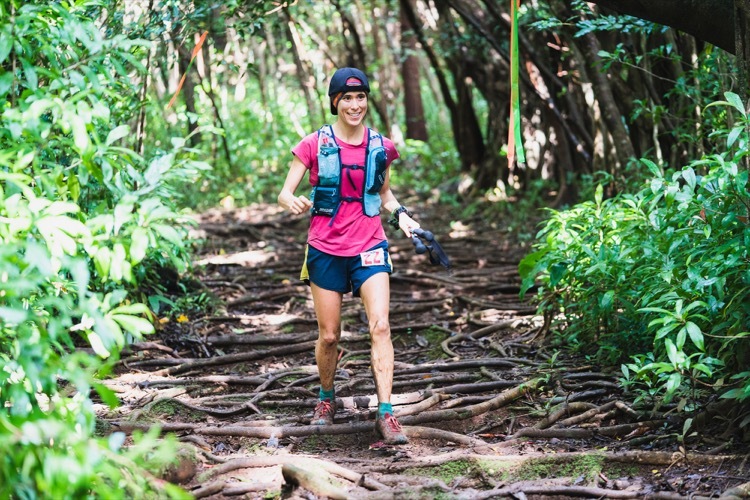 It’s gotten as high as 60%, so we were wondering if people might stop thinking of the HURT 100 as a tough race. 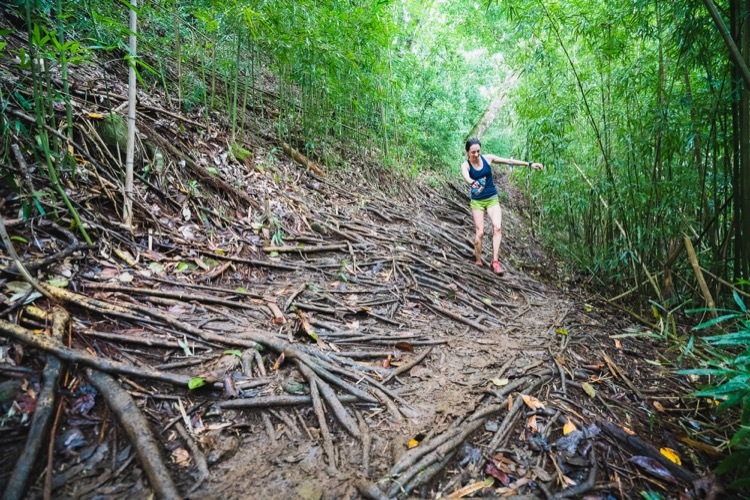 Thankfully, there was rain prior to the race this year and light showers throughout the weekend, resulting in mud puddles, slippery conditions and a more normal finish rate of 53%. The downside was that at least eight runners went to the ER with various broken bones. Although three runners broke 24 hours, we had an even dozen finish in the last hour, which made for a lot of nervous people at the finish line as the clock counted down to 6 p.m. In the women’s race, local runner Solange Saxby led through the first two loops and then was passed by 2018 Hardrock winner, Sabrina Stanley, who went on to win in 28:28, by 39 minutes. Another local, Anna Albrecht, moved up slowly from sixth place after one loop to finish her first 100-miler as third female, Candice Burt (second in 2016) and Denise Bourassa (2016 winner) finished in fourth and fifth. In the men’s race, we had veterans Trevor Fuchs and Masazumi Fujioka returning from last year (fifth and third in 2018). 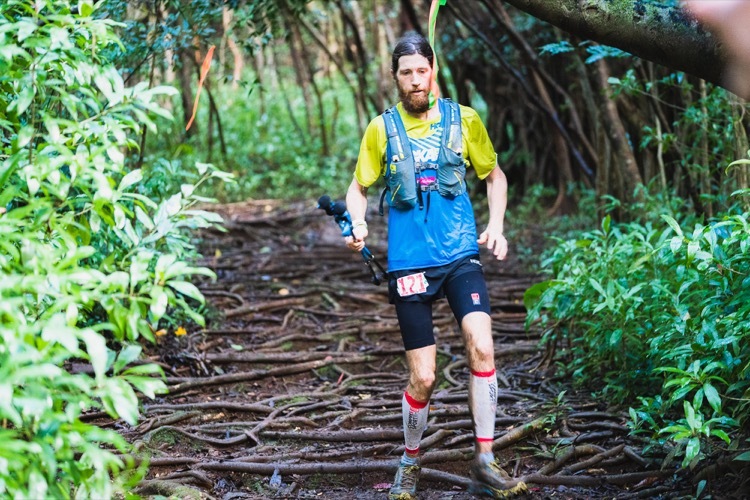 At the end of the first 20-mile loop, Trevor had a slight lead, but Masazumi came back to lead Trevor by 7 minutes at the end of lap two and 12 minutes after three laps. However, Nate Jaqua moved up from 10th place to pass Trevor and Masazumi on the fourth lap and ended up winning in 23:24 (not bad for a retired professional soccer player). The top three men all finished in under 24 hours, despite course conditions. Another contender in the men’s field was Michael Wardian, who has run well at Western States, Hardrock and other tough 100s. Unfortunately, he missed a turn on the first leg and arrived in 100th place (of 130 starters). What’s amazing is that he didn’t let his 2-mile detour get him down and moved up throughout the race to finish in 10th overall. 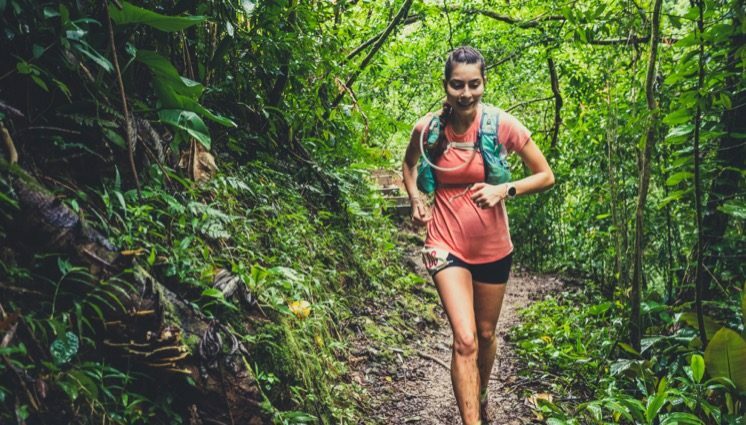 This race was started 19 years ago as a way to give Hawaiians a chance to run a 100-miler without the costs and logistics of traveling to the mainland. 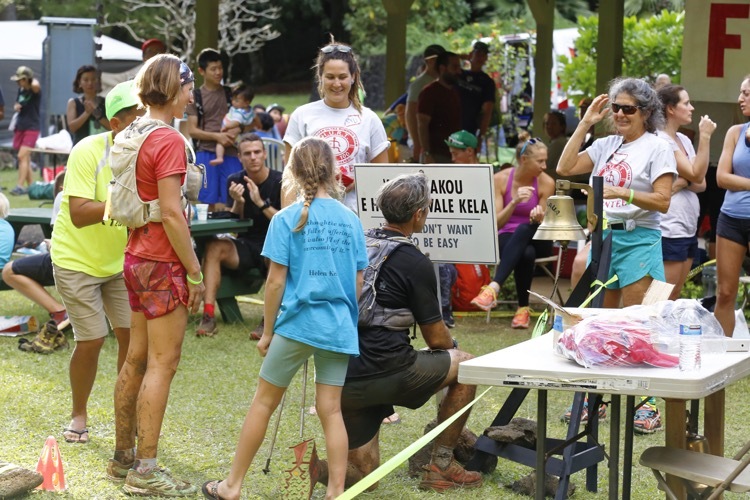 This year, 15 of the 69 finishers were from Hawaii: 3 women and 12 men. We also had runners from 33 states and 14 countries, keeping this a demographically diverse event. A total of 472 different individuals finished the 100-mile distance in the first 19 years, and we hope to have 28 new finishers next year. Our oldest finisher this year, Kuni Yamagata, is now the oldest HURT finisher ever at age 65. How hard is our 20-mile loop? This year, the first loop was run in 3:37 (Trevor), while the slowest loop was done in 13:35. Alex Nunn managed the most consistent splits, ranging from 5:48 to 6:22, finishing in 25th place in 30:29. Steven Mortinson won the “Run, Sue Lohr, Run” award for being the last person to start the fifth lap (10:59 a.m.) and still make the cutoffs. Steven directed the film Rooted – The Story of HURT and managed to finish his first 100, which he said was much harder than filming it. Anna Albrecht and Matt Hause were the first finishers in their first 100-miler, winning the fifth-annual “Aleca & Tonto” awards – carved wooden plaques, courtesy of HURT veterans Monica Scholz and Phil McColl. The RDs also awarded custom leather belts to Alyx Ulbrich, Mike Smith, Paul Reader and Steven Mortinson for their special achievements. As all RDs know, this race wouldn’t be possible without the volunteers (400+) who helped out – mahalo! From the Friday briefing through the Monday banquet, the HURT team tries to instill the values of ohana (family) in everyone. It’s rewarding to hear people talk about the care and attention given by all the volunteers to the runners and their crews. 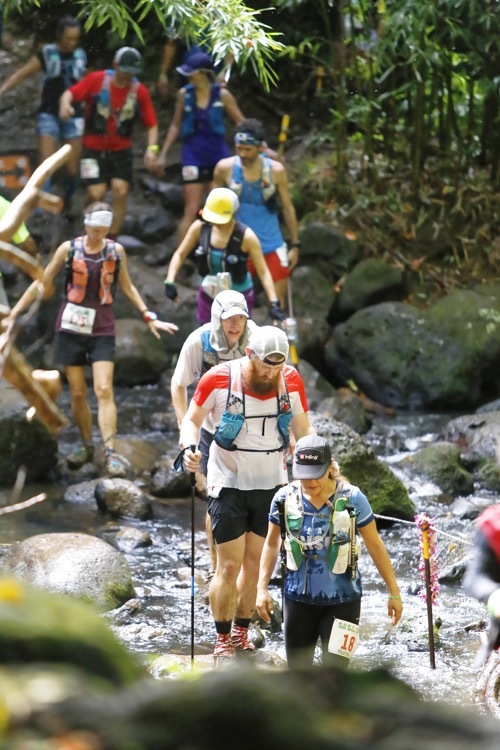 Applications for the 20th HURT 100 (January 18-19, 2020) should be available on July 20 (on UltraSignup). Those that are accepted in the August 11 lottery can sign up for the Monday night banquet (at Obama’s country club), still the best post-100 event held the day after the race ends (for those that are willing to stay one more day in paradise).